France. Royal. Charles VI, AD 1380 to 1422. Blanc Guenar. Date : emission of 1385. Size : 24.8 x 26.0 mm. Weight : 3.24 grams. 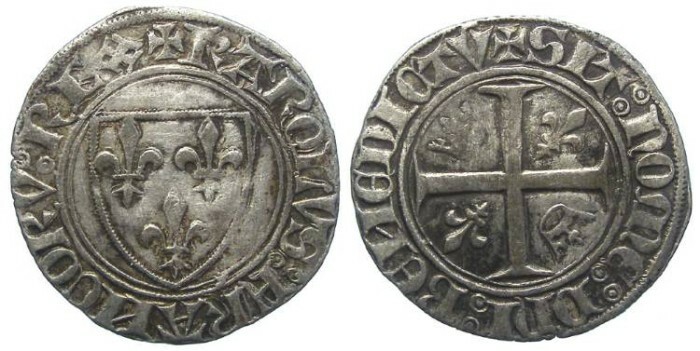 Obverse : Shield with three fleurs, with KAROLVS FRANCORV REX around. Reverse : Cross with alternating fleurs and crowns between the arms, with SIT NOME DNI BENEDICTV around.